The Impact Investment Group team would like to thank everyone who attended community information sessions and engaged online during April 2018. This recent round of engagement provided an opportunity for community to discuss and participate in planning Stage 1 of the rejuvenation. While no more community sessions are planned for the next little while, you can still email us your questions and ideas for Stage 1 at: engage@younghusbandwoolstore.com.au. Read on for an update about community participation for the project during April 2018. We held three events where we collected and responded to your questions and concerns and sought your advice on how to best manage next steps. Over 60 interested people attended these face-to-face sessions with the project team on 21, 24 and 29 April. Attendees helped us to plan early works for the project. This included repairs to the rooftop and the bluestone laneway; and potential road closure of Elizabeth Street (an idea that emerged during community discussions in 2017). A more detailed report on next steps will be made available in the coming weeks. More details and photos from the events are available here. The suggestion box is still open for naming the two laneways! 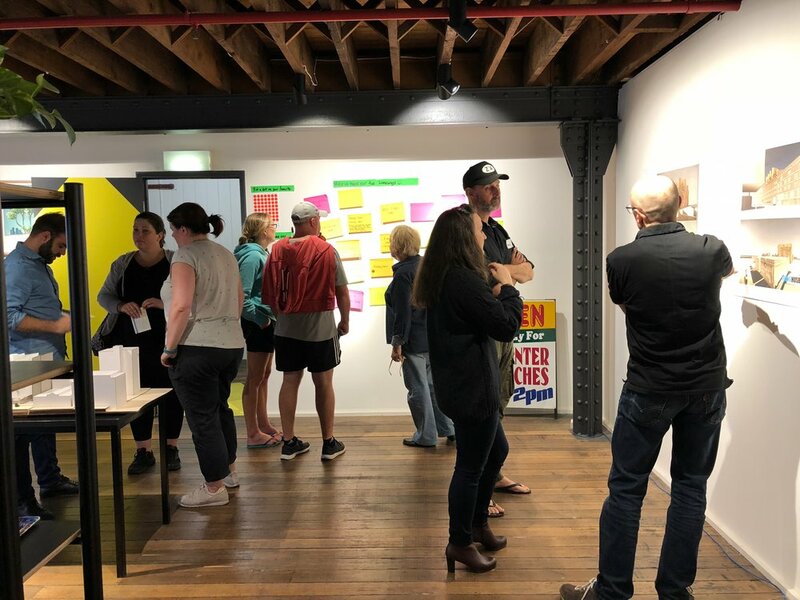 Including suggestions from face-to-face events, we have received over 30 possible laneway names for the bluestone laneway and the railway laneway. Write to us at engage@younghusbandwoolstore.com or go to the Younghusband Facebook page. Please ensure your idea complies with the naming criteria. In the coming months we will circulate the short list for further community input. We are still keen to hear from more people who are interested in being part of the development of the community garden and orchard (another idea we’re progressing from 2017 community engagement.) Please write to us at engage@younghusbandwoolstore.com if you would like to be involved and we will work with you to make this happen. Thanks again everyone for your interest, support and contributions on the project so far! Please join our email list to get the latest news about how you can get involved.